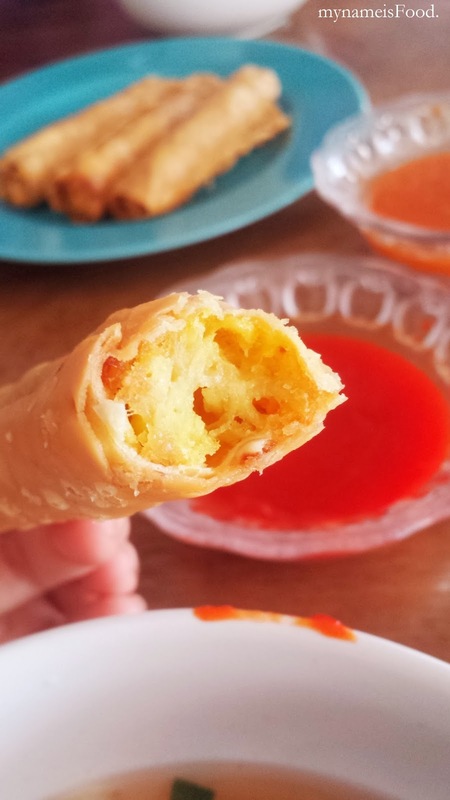 Pak Djo, Street Food, Indonesia - my name is Food. 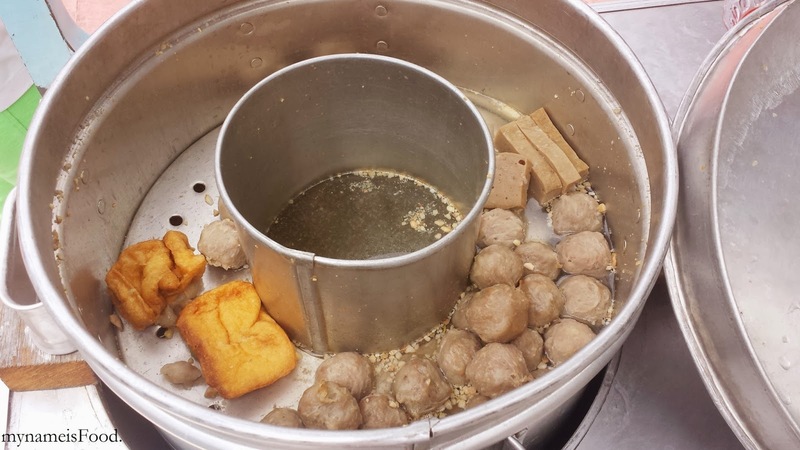 Broth is placed in the middle while the meat balls and the tofu is placed around it, which allows it also absorb the steam through the soup.. 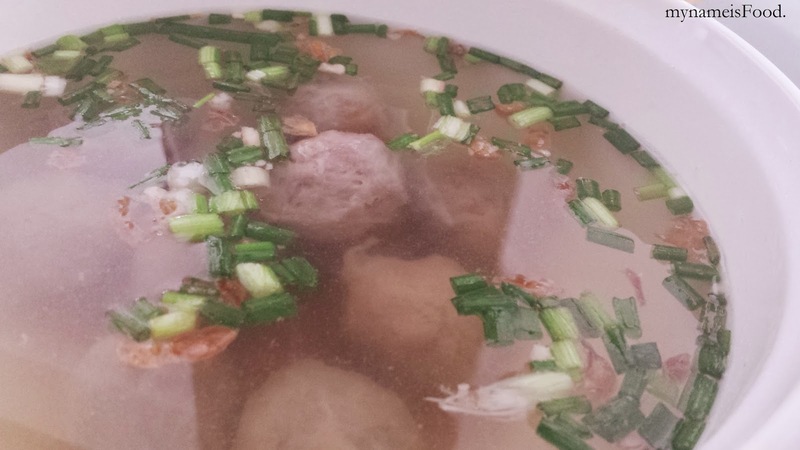 This gives the meat balls not only its own flavour but also the broth flavour amongst it too. 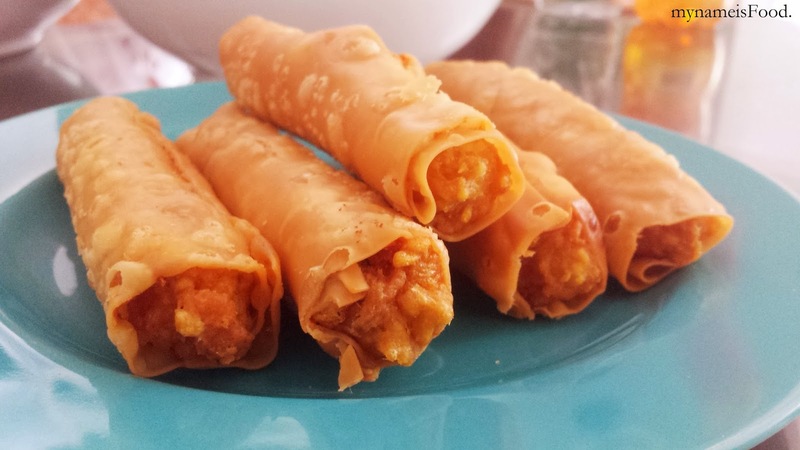 These spring rolls look-a-like aren't what you think they are.. 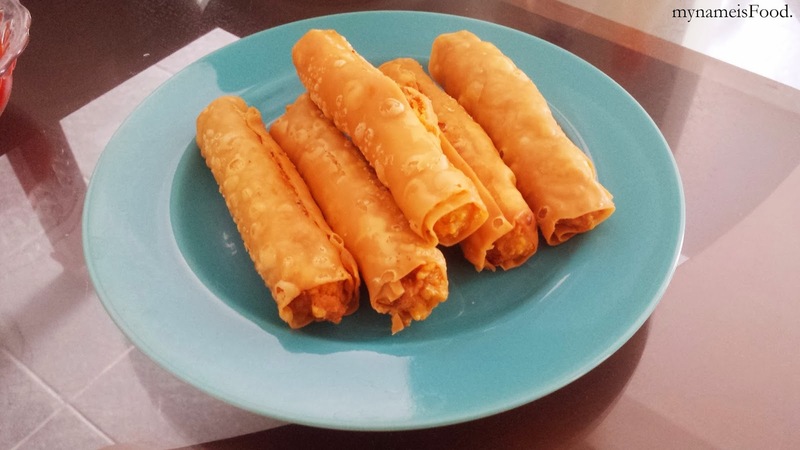 They're actually pumpkin stuffed and then are fried.. Quite a not so healthy snack since they're fried but still yummy anyway.. Crispy on the outside, moist inside.. You could even taste the shredded/mashed pumpkin when you take a bite.. 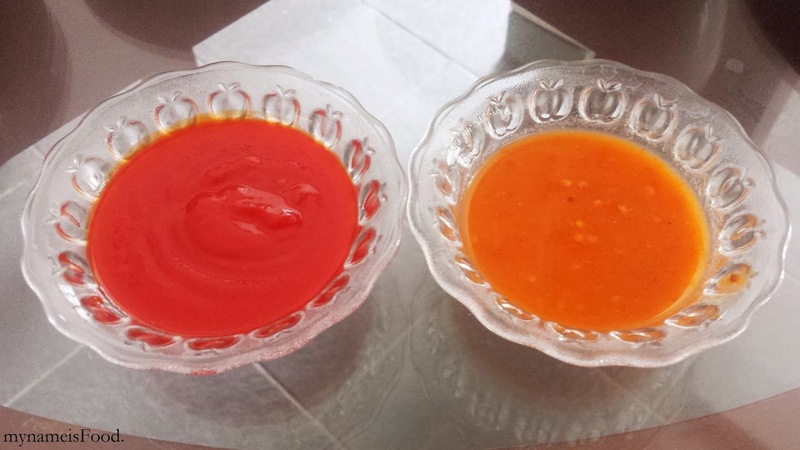 Sauce are usually just a simple tomato sauce and chilli sauce.. Though don't think that it's sweet chilli or just those not-so-hot chillies.. Here the chillies are usually hot generally, not many are actually those not-so-hot chillies.. 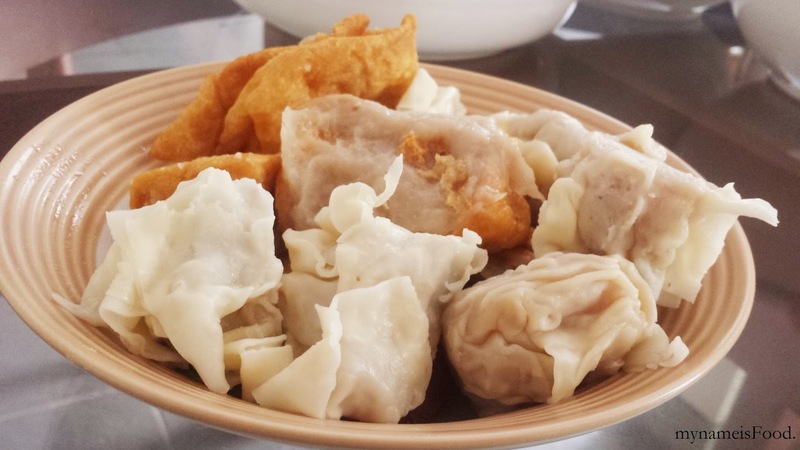 When you order, there are 2 different varieties available, one that is round-shaped and the other, square-shaped.. Though many would call it the Bakwan kasar (Rough Bakwan) and Bakwan Halus (Smooth Bakwan).. 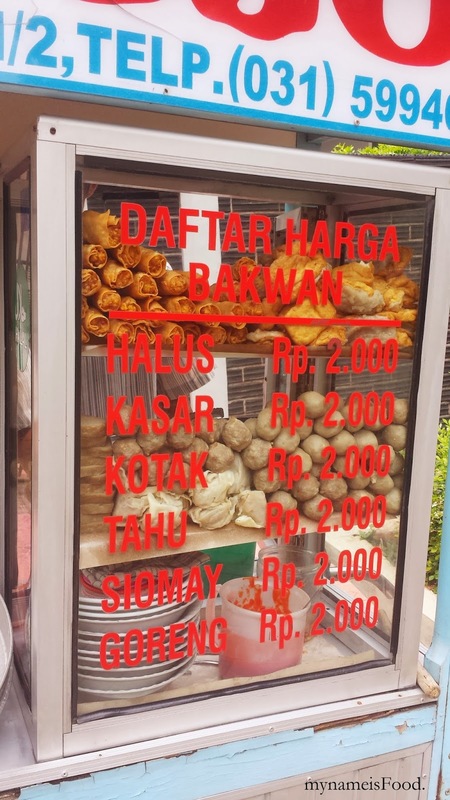 They also have the square shaped bakwan which are simply called 'Bakwan Kotak' (Square Bakwan). These are named after its texture, as the round shaped meat balls tend to be rougher than the square ones.. 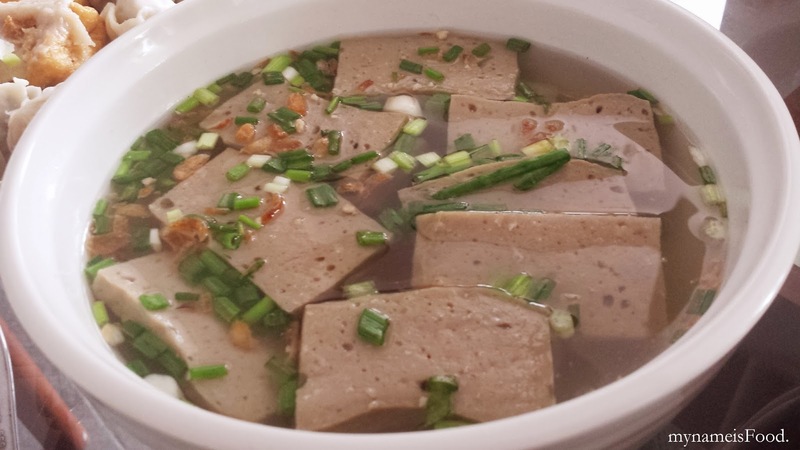 The soup are the same and usually, they are mixed in a bowl altogether, but we ordered them seperately usually so that we can take the ones we want ourselves, and not having our meals portioned accordingly.. 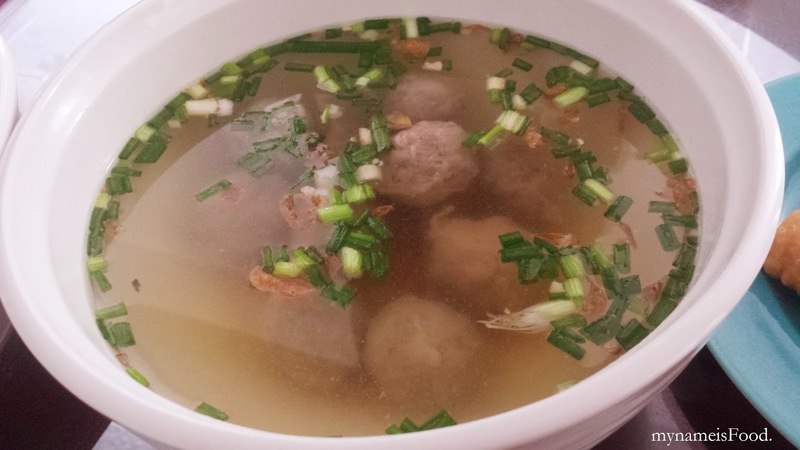 The soup is basically a simple broth, but its aroma just takes you away of its simplicity and flavour. 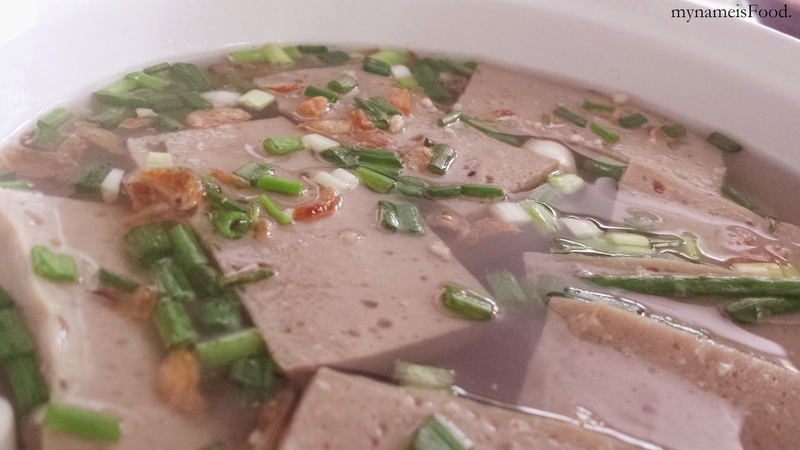 Spring onions and Fried Onions are topped and mixed in through the soup.. 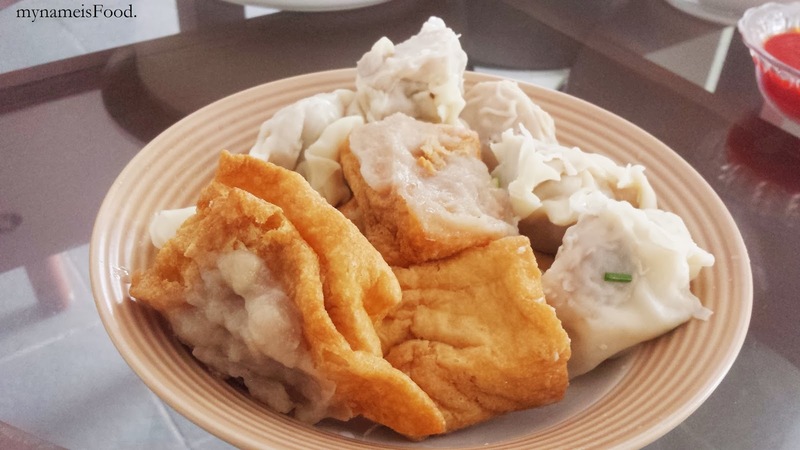 The texture of the Smooth and rough bakwan do give a slightly different taste, however there are some who prefer one from the other..
Lastly, a mixture of 'Stuffed Tofu' and dimsim are also available.. These stuffed tofus have a unique stuffing, as they consist of a slightly more moist meatball (beef, kanji flour etc). 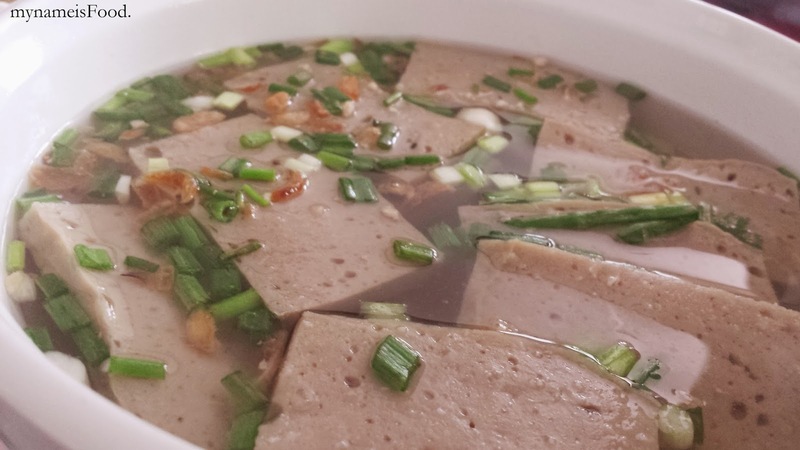 The dimsim has a thin coating which is nice since there are many who tend to coat it thick leaving only the meat to be just so-so.. Though some people may say that street food may not be hygienically healthy or dirty, I guess it just depends if you know where to go, because of course there are many which are dirtier than others, however they may serve the same food but their way of making and producing it is all locally produced. Regarding its healthiness, this may depend on where you get it from as well since in the restaurant, the same dishes are offered, the only differences is that they're served in a restaurant and not on the side of the street. So just be careful if you would like to try it, make sure you know which one is safer to go to and buy from, because no one wants to get a tummyache..